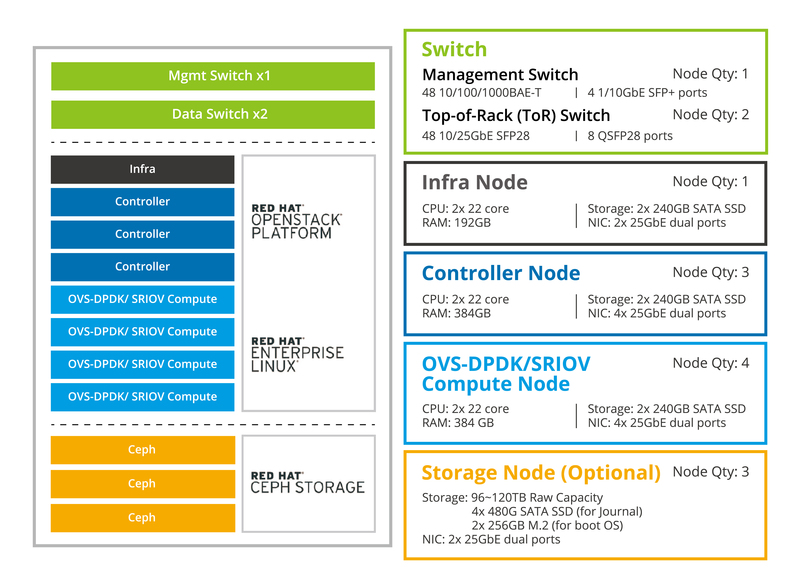 QCT QxStack Network Function Virtualization (NFV) Infrastructure with Red Hat® OpenStack® Platform is an optimized platform for network service providers and carriers following the industry standard European Telecommunications Standards Institute (ETSI) NFV architecture. 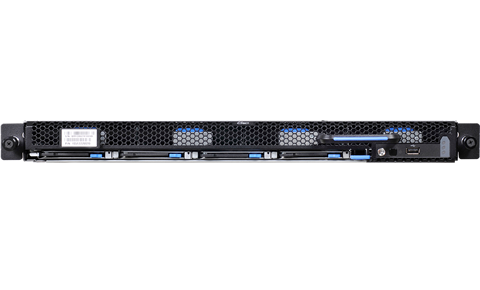 QxStack NFV Infrastructure with Red Hat OpenStack Platform adopts QCT’s hardware platforms powered by the latest Intel technologies and is integrated with the Red Hat OpenStack Platform and Red Hat’s Ceph Storage, featuring scalability and high availability. 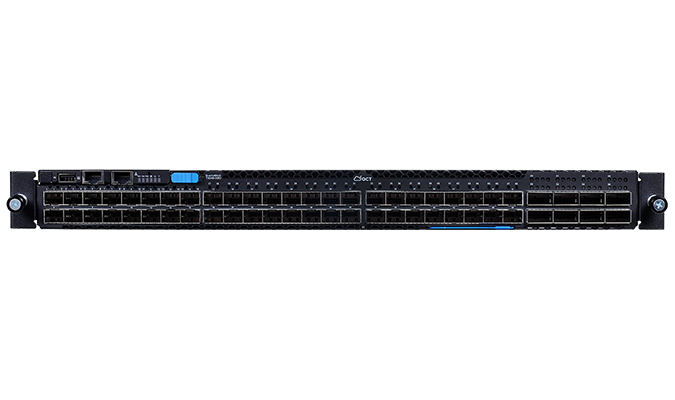 QCT implements Enhanced Platform Awareness (EPA) technologies to improve network performance and satisfy modern NFV requirements. Validated by QCT’s TestBox, QCT provides QxStack NFV Infrastructure with Red Hat OpenStack Platform as a carrier-grade solution. 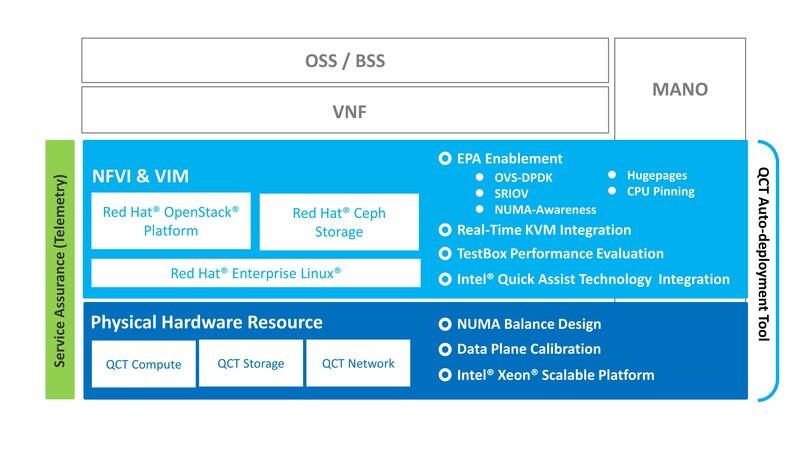 QCT QxStack NFV Infrastructure with Red Hat OpenStack Platform solution uses network acceleration technologies for performance optimization and provides a flexible modularized design based on non-uniform memory access (NUMA) balanced hardware. 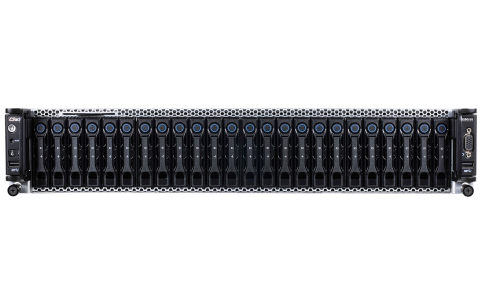 Along with industry leaders Red Hat and Intel, our reference architecture exhibits exceptional performance validated by industry standard framework OPNFV Yardstick. QCT offers the carrier-grade, pre-integrated and validated infrastructure to satisfy digital demands and prepare CSPs for future innovation. With QCT QxStack solution, 5G city is no longer a fantasy, but a reality that’s within every piece of our life. Under the scope of NFV architecture defined by ETSI, QxStack NFV Infrastructure with Red Hat OpenStack Platform is an open and standardized NFVI platform which supports various NFV use cases. 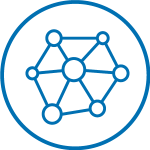 From the physical layer to the virtualization layer, QCT builds an interoperable NFV foundation without vendor lock-in, that avoids issues from proprietary appliances and provides an architecture with high flexibility. The stack adopts EPA designs and fully takes advantage of QCT NUMA-balanced systems. With NUMA awareness and CPU pinning, QxStack NFV Infrastructure with Red Hat OpenStack Platform is able to allocate resources separately; while with PCI pass-through technology, the compute nodes with OVS-DPDK and SR-IOV enablement are proven to improve network performance. 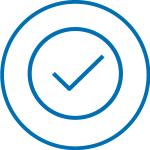 To provide a reliable NFV infrastructure, QCT introduces a Test-in-a-Box (named TestBox) for an easy-to-use toolkit to validate the NFVI solution. 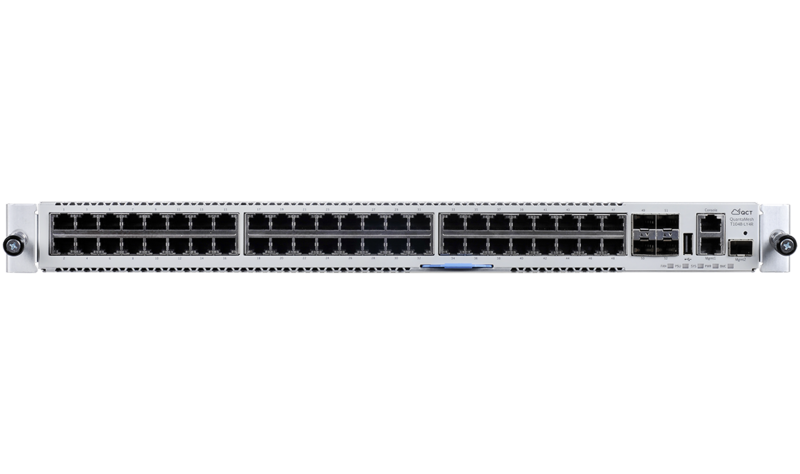 QCT has executed a series of tests to verify the resource allocation and PCI pass-through performance and consolidate the test results of network throughput, packet loss, and latency. 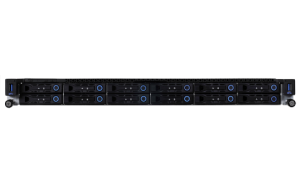 QCT enables two optional features to enhance system performance. 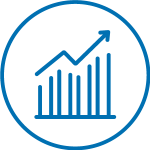 By adopting the Intel® QAT card, the architecture can provide the security, authentication, and compression, along with acceleration, performance, and efficiency. 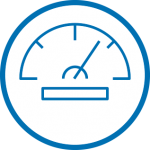 With Real-Time KVM, the architecture can deliver low average latency and minimal jitter to avoid spikes that might cause a service degradation or even disruption. Real world NFV deployments generally come with a massive scale. QCT Auto Deployment Tool is suitable for hastening the complicated OpenStack set-up process. For service assurance, QCT also developed telemetry solution to deal with large scale performance data (metrics) and to implement service assurance for administrator to monitor resources.